The new "iPad Pro mini" is a lot like the 12.9-inch iPad Pro, but smaller and with some new features. 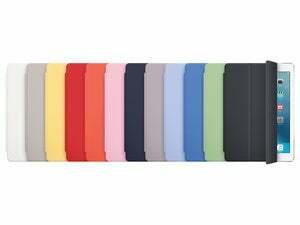 Will an iPad Air 2 case fit on the 9.7-inch iPad Pro? Apple on Monday unveiled a new tablet in its lineup: the 9.7-inch iPad Pro. 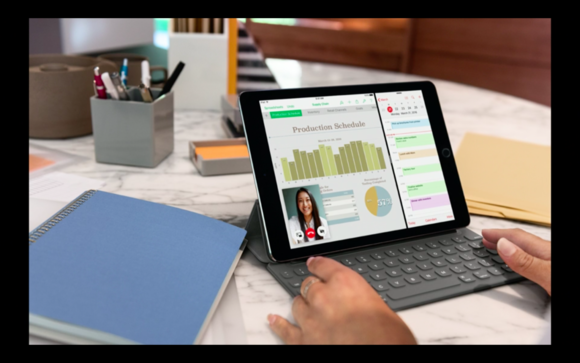 The new 9.7-inch iPad Pro is a follow-up to the 12.9-inch iPad Pro that was released last fall. Rumors about the specifications and prices for the 9.7-inch iPad Pro (which the rumor mill called the iPad Pro mini) floated prior to Apple’s March 21 event, and they’ve held up, for the most part. The heart of the 9.7-inch iPad Pro is essentially the same as the 12.9-inch iPad Pro. Like the 12.9-inch iPad Pro, the 9.7-inch iPad Pro has a 64-bit A9X processor with an embedded M9 motion coprocessor, and four speakers (dual stereo speakers). The 9.7-inch iPad Pro’s Retina (2048x1536) screen is an improvement over the iPad Air 2’s screen. 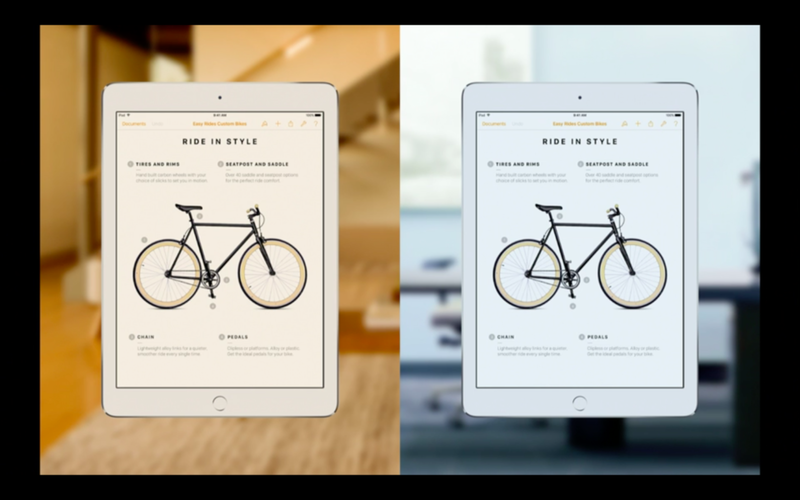 According to Apple, the 9.7-inch iPad Pro screen is 40 percent less reflective than the iPad Air 2’s screen. It’s also 25 percent brighter (500 nits of light) and has a 25 percent greater color saturation, with support for the DCI(P3) color gamut. The screen on 9.7-inch iPad Pro has a new feature called True Tone, which adjusts the display’s color temperature on the fly. True Tone measures the light of the room you are in, and then tweaks the display to make sure colors are consistent. True Tone isn't found on the 12.9-inch iPad Pro. Apple’s demonstration of the new True Tone feature in the 9.7-inch iPad Pro. The 9.7-inch iPad Pro has support for the Apple Pencil, and as with the iPad Pro, you can plug the Pencil into the iPad’s Lightning port for charging. And again, just like the 12.9-inch iPad Pro, the 9.7-inch iPad Pro doesn’t have 3D Touch support. It wouldn’t be an iPad Pro without a Smart Connector, and the 9.7-inch iPad Pro has one, too. The three-pronged connector is located on the side of the 9.7-inch iPad Pro, and it allows you to connect the new Smart Keyboard designed specifically for the new iPad. The one feature where the 9.7-inch iPad Pro clearly outdoes the larger iPad Pro is the iSight camera. 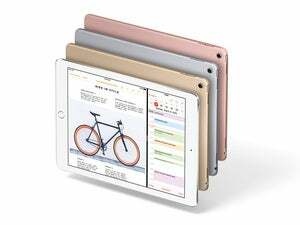 The 9.7-inch iPad Pro has a 12-megapixel camera that’s capable of capturing 4K video, while the 12.9-inch iPad Pro has an 8-megapixel iSight camera and has a top video resolution of 1080p. Other features the 9.7-inch iPad Pro iSight camera has that the 12.9-inch iPad Pro iSight camera doesn’t: Live Photos support, autofocus with Focus Pixels, True Tone flash, and ƒ/2.2 aperture. 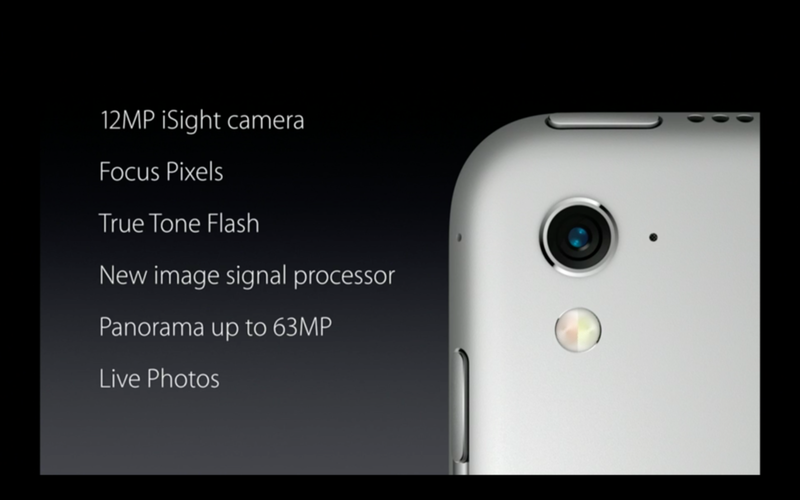 Apple also said the 9.7-inch iPad Pro iSight camera has improved local tone mapping and noise reduction. The 9.7-inch iPad Pro’ FaceTime camera is 5 megapixels, while the 12.9-inch iPad Pro has a 1.2 megapixel FaceTime camera. Apple’s iPad Air offerings change slightly. The original iPad Air model is no longer in the current lineup, leaving the iPad Air 2 as the only Air model. Apple still offers the iPad mini 2, which sits next to the iPad mini 4 as Apple’s affordable iPad. The iPad Air 2 with Wi-Fi only used to be $499 (16GB), $599 (64GB), and $699 (128GB); it’s now $399 (16GB) and $499 (64GB), with no 128GB option available. The iPad mini 2 with Wi-Fi only is $269 (16GB) and $319 (32GB). The iPad mini 4’s prices did not change.